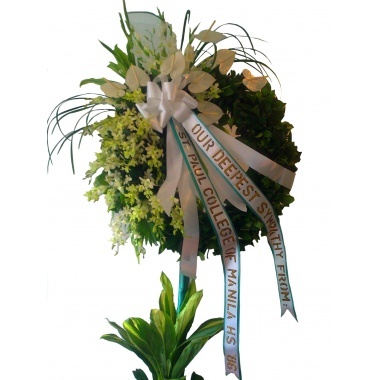 Extend your sincere condolences with an elegant funeral wreath which consist of orchids and anthuriums. Approximately 8 ft tall. Within Metro Manila delivery only.